Whether you are looking for a specific car model, or you simply want to strike a great deal for your new vehicle, looking for the best used & new car websites in australia online is among the soundest decisions you can ever make. With the help of these sites, there is no need for you to step outside your house just to check out all available cars for sale. A few licks will let you determine how much you will be spending, what features are included, and other details you have to know about a potential car. The most reliable sites often provide essential information such as car history report. You have to keep in mind that a car history check or revs check must be the first thing to look for before you close a deal on any vehicle. Dubbed as the biggest car sell websites in Australia, this is where you will find lots of selections including brand new vehicles, special offers, and private sellers. The website works well for computers and smartphones alike, letting you shop for a new car no matter where you are, even while sipping your favorite coffee in the neighborhood café. Aside from cars, you can also search here for specific accessories and parts, and for local service centers. Another huge website with more than 100,000 cars listed for sale, Carsguide is under the management of Newscorp, ensuring that you can enjoy the perks of the company’s extensive resources including a map that shows the location of each and every car. Here, you can find used cars, new cars, and just about everything you can imagine. A primary feature of the site is the listing of new deals that helps you find the latest best place to buy cars according to location. You can also browse reviews as well as news on the most anticipated concept cars. Launched way back in 2007, Gumtree continues to serve as a reliable community website in which you can check out local classified ads for anything you can ever ask for, including used and new cars, utes and vans, scooters and motorcycles, trailers, campervans, and caravans. You can also find accessories and parts you need through the site. Your search could be easily narrowed down by suburb or state so that you can find exactly what you need near you. Ads often come with photos so you will get a good idea of what is being sold before making the effort to personally travel and check it out yourself. Every minute, new car listings are added to let you compare prices and strike a good deal from private sellers who want to sell their car at the soonest time possible. eBay hosts a large selection of collector and used cars sale in australia , complete with modifications and extras you will never find in a dealership. If you have been looking for something unique, this is definitely the place to be. It’s where people who are very passionate about their cars go to sell them. There are cars like Porsche, Maserati Spider, and Chevrolets from the 60s. eBay is the like the world of dreams for classic collectors. It sets apart from others due to its simple and easy to use search function that allows you to choose the brand new cars, demo and new cars, private seller of second hand cars, and dealer used. You will also get a comparison of the prices from various sources from the different locations in Australia. You will also find everything from classic cars like Austin Healey to Ford and Ferrari. 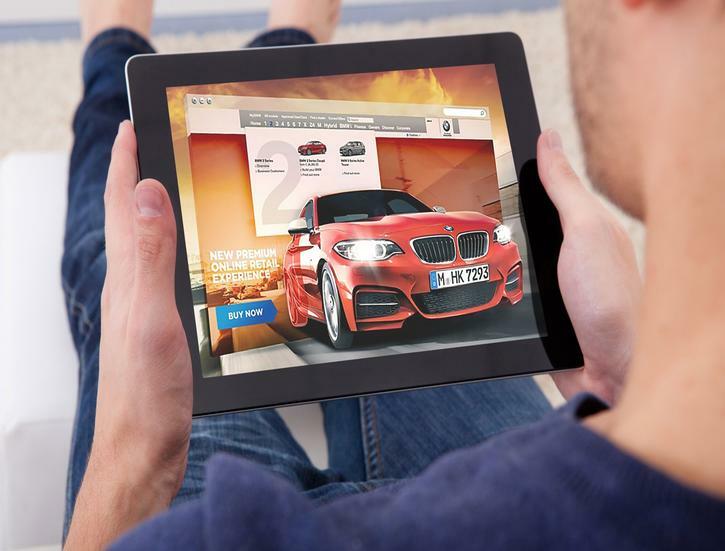 The partner website allows you to look for car accessories and parts in case you are doing repairs. On this website, you will be able to find used and new cars with convenient and simple lifestyle browse option. Look for categories including small car, first car, family car, performance, prestige, trade commercial, and eco. You will also find lots of information regarding car maintenance, oil and fuel, tisp for selling and the best online car buying sites, tires, and reviews written by both car owners and experts. This was established as a valuation specialist and auction house in year 1964. Today, it has a total of nineteen branches nationwide. More than thirty-five percent of their sales are made over the internet. Providing a wide variety of fleet, government, luxury, and repossessed cars, all vehicles are made available for inspection prior to auction. You may register to get product alerts and opt to get rid of the auction process and purchaser at fixed price. Purchasing at Pickles hasn’t been easier. You will find thousands of second hand cars across Sydney and Melbourne, among such ex-government vehicles. You may narrow your search by make, year, model, price, km’s or look for an individual dealer. Browse about 21000 cars by model, price, body type or make from across Australia. You may save searches and access a list of viewed items, which makes it a simple way to find where you have been in your search for the best vehicle. You may also save a search for it to keep your eyes on the market for the car you are after. It is a handy tool that was feature on the television. First and foremost, you can decide on the model, make, color, and any extras. You can submit anonymous request for the cars and dealers will get back to you with three offers with twenty-four hours. It saves you from shopping around because you only need to pick your favorite deal, call the dealer, and drive away with your preferred new car. It is the biggest free online car classified listing in Australia. You may browse private sales and dealers to find the best deal in your state. You may also choose from the searches like Holden Commodore or Mitsubishi Magna or satisfy your needs for speed with various cars. Before buy a car you must also check is this car are Rebirthed ?